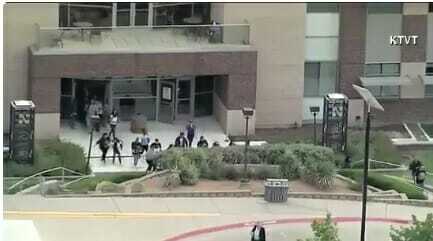 Breaking: Active Shooter at North Lake College in Irving, TX - Video Shows Students Pouring Out of Buildings! Breaking: Active Shooter at North Lake College in Irving, TX – Video Shows Students Pouring Out of Buildings! Video from the campus shows students pouring out of the buildings. One suspect was killed one before committing suicide.